The tool extracts 2d surface elements of a mesh given either in the vtu or msh format. Since the algorithm uses the element surface normals a correct node ordering of the element nodes is required. The user can specify the components of the normal the extracted surface should have. The normal of the surface that should be extracted is given by the arguments -x, -y and -z. The default normal is (0,0,-1). The command line option -a can be used to specify the allowed deviation of the normal of the surface element from the given normal. The data arrays added to the surface mesh by using the options --face-property-name (default value ‘bulk_face_ids’), --element-property-name (default value ‘bulk_element_ids’), and --node-property-name (default value ‘bulk_node_ids’) are used in other tools (for instance in ComputeNodeAreasFromSurfaceMesh) and is required for flux calculations during a simulation run of OpenGeoSys. 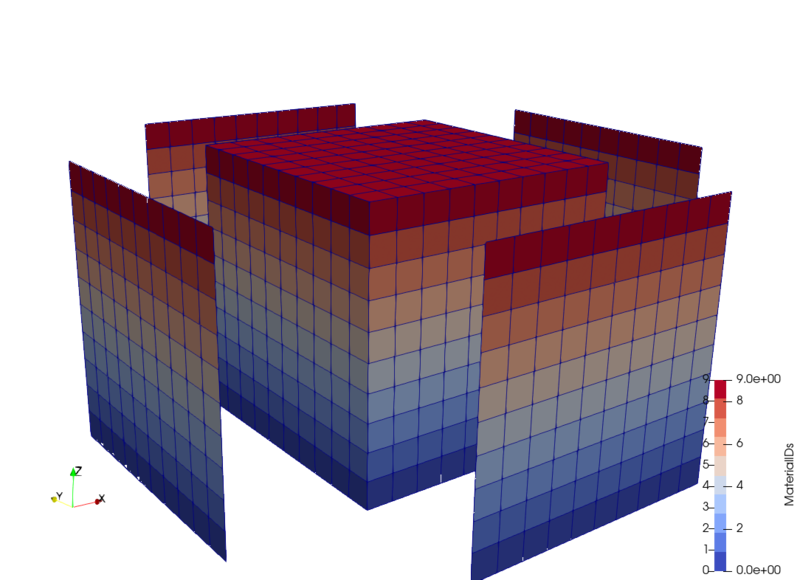 The figure shows the extracted front, right, back, and left surfaces from the cube that are colored by the corresponding subsurface material id. 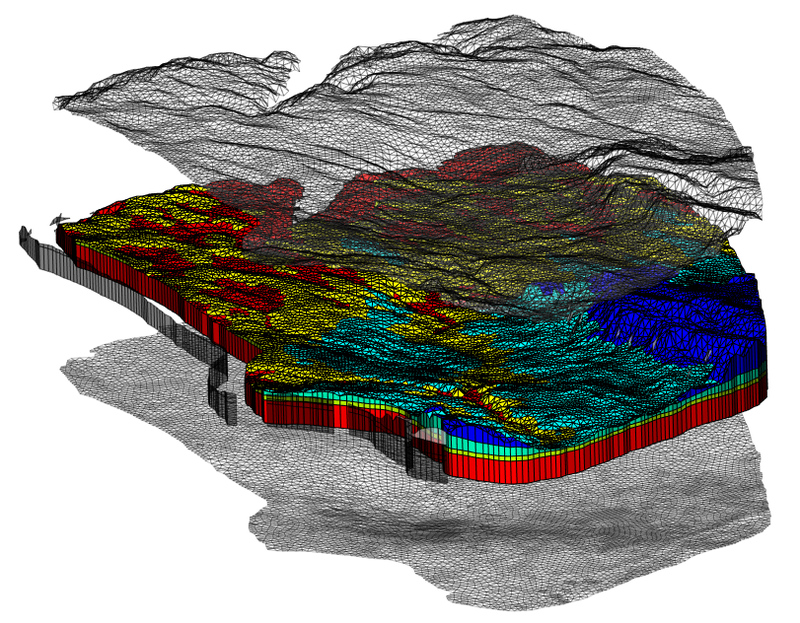 The material ids transformed to the surfaces can be used for further boundary condition preparations for instance employing paraviews threshold filter.